With an early 2019 construction start date planned for the Midvalley Highway, Tooele County commissioners are now advancing plans for an alternate route out of the county into Salt Lake Valley. 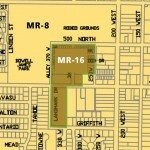 The map that Saddleback developer Chris Robinson presented during his presentation on a proposed amendment to his development agreement during the County Commission’s Aug. 7 meeting highlighted a strip of land 150-feet wide running north to south from Lake Point to Bates Canyon Road east of the Union Pacific railroad line. The strip of land represents a route for what Robinson calls Oquirrh Boulevard. The county commissioners prefer the name Oquirrh Expressway. Robinson said he has been working with the County Commission on an eventual donation, once the preferred route is determined, of the right-of-way for the proposed Oquirrh Expressway. The donation is not contingent on approval of his proposed development agreement amendment, he said. 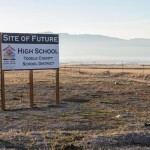 Nobody has calculated the acreage of Robinson’s proposed land donation, but Tooele County Commissioner Myron Bateman estimated that a three or four mile strip of land 150 feet wide would be worth around $3 million. The county spent $1.8 million for 222.4 acres of land for the Midvalley Highway in 2016. The money for the Midvalley purchase came from the corridor preservation fund, which is fund built up by a surcharge on all vehicles registered in Tooele County. The fund can only be used for new road projects approved by the Tooele County Council of Governments, a group composed of the county commissioners and all the mayors of towns and cities in Tooele County. The County’s plans for the Oquirrh Expressway don’t end at Bates Canyon Road. The County is working with landowners south of Bates Canyon Road to bring the expressway as far south as possible, following the railroad, according to Bateman. The expressway may start out as a two-lane highway, but with the 150-foot wide right-of-way, there will be plenty of room to expand the expressway to a four-lane highway, he said. 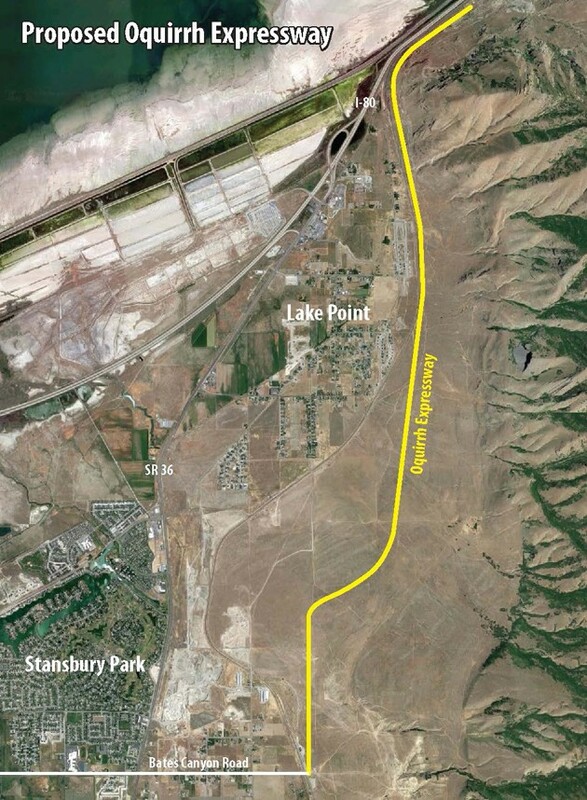 Oquirrh Expressway will run north to Lake Point where it will connect with UDOT’s planned extension of state Route 201 around the point of the Oquirrhs. Getting SR-201 around the Oquirrh’s is the real pinch point in the plan, according to Bateman. There is no funding or construction date planned for the Oquirrh Expressway, but it is on UDOT’s 2050 long range plan, according to Tooele County Commission Chairman Wade Bitner. Bitner said that’s how the County Commission was able to get funding for the first phase of the Midvalley Highway, which will run from mile marker 94 on I-80 to Sheep Lane on state Route 138. The County, using corridor preservation funds, paid for the environmental impact statement for the Midvalley Highway, surveyed the route and acquired the property for the first phase. UDOT is currently working on the design for the Midvalley Highway. The project should be ready to go out for bid in early 2019 with the completion date in mid-year of 2021, depending on weather, according to Bitner. Tim covers education, Tooele City government, business, real estate, politics and the state Legislature. He became a journalist after a long career as an executive with the Boy Scouts of America. 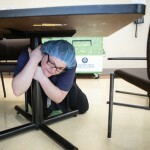 Tim is a native of Washington state and a graduate of Central Washington University. This sounds like it’ll be helpful on paper. I wonder if it’ll make a dent in traffic problems 30 years from now? Even though Robinson said it’s not contingent on getting his project approved, we all know what the County Commissioners will do. Get that approval stamp ready! What about a commuter train? I never hear anything about that being considered. I think that investing in mass transit would be a better idea than just putting in more roads. I think that this county has a responsibility to start the conversation about cleaner air now – not playing catch up in 20 years. This map does not match another one the developer has shown the lake point community that has roads coming off this dumping all these cars into the LakePoint residential areas. After seeing all his more detailed maps for his part and his development agreement (what’s in writing) I am highly concerned of the traffic issues and cost to all of us as taxpayers since his development agreement states specifically he is to be paid back for anything he dies for infrastructure such as this or if anyone uses it, connects to it in any way and such as you can read below which is taken from his development agreement. A donation if this land does not mean he won’t get his money back from the county and others 10 X’s the donated amount when he develops all his other land around it. of such development’s pro rata share of the cost relating to such improvements. indicator (“CPI”) over the preceding years. to or otherwise utilize such improvements (an “Authorized Connection”). borders said property and provides a reasonable benefit to said property. Costs associated with one half of the roadway and other improvements.